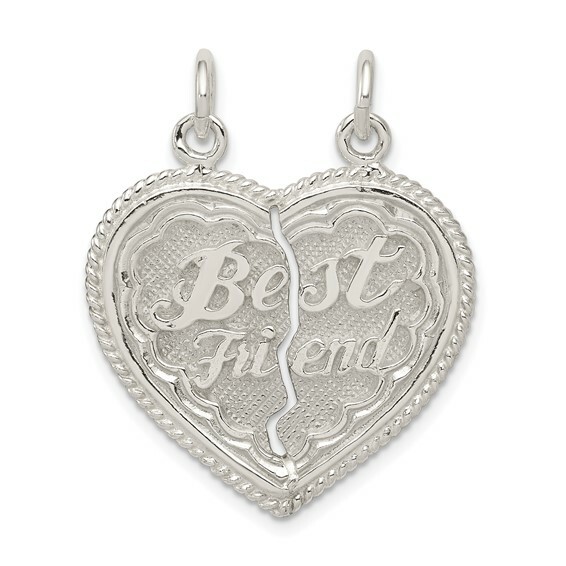 Sterling Silver Best Friend 2-piece break apart Heart Charm. Weight:4 grams. Item measures 15/16 inch by 15/16 inch without bail. It was a wedding gift for my son and daughter-in-law. I wasn't sure how to break it in half. Directions would have been helpful. When I did break it there were rough edges. Wasn't sure what I should do to smooth them out.